It officially happened! We have a 4 year old now. I don’t really know how it happened, but my little girl is growing up! 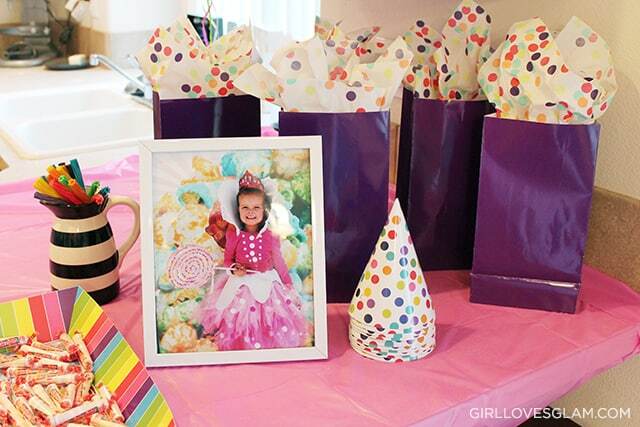 It has been interesting to see what theme she chooses for her birthday parties each year. So far, she has always chosen a party theme that matches what she chose to be for Halloween the previous year! I was interested to see if she would continue the trend and sure enough, she did! 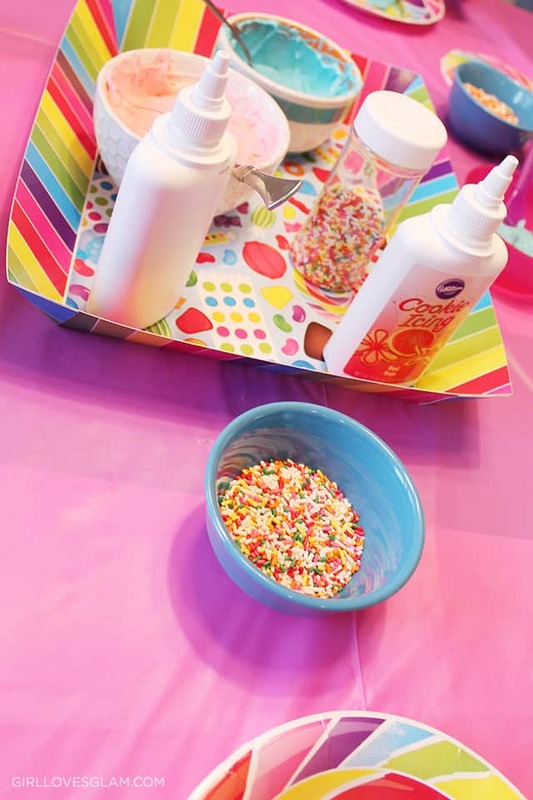 This year we had a Sugar Rush birthday party. Sugar Rush is the game that Vanellope Von Schweetz is in on Wreck it Ralph. It is very specific, but that is just how this four year old rolls. I didn’t do anything overly themed to make it Wreck it Ralph and just stuck with a candy theme. 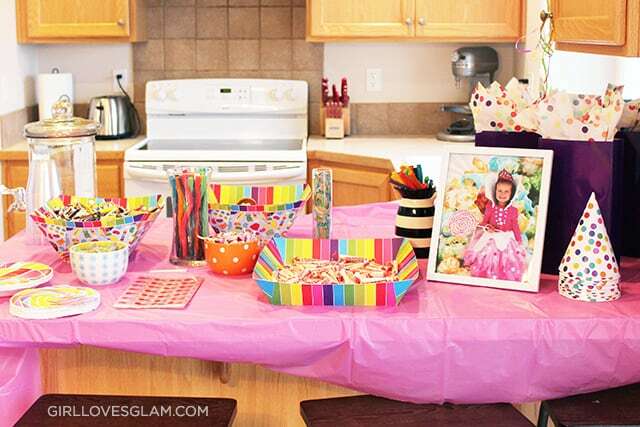 She didn’t think anything of it and I think it would be just as cute to have a candy themed birthday party! 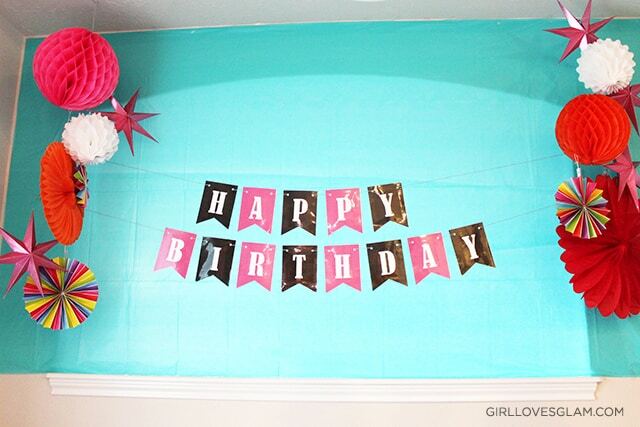 The backdrop was just two table cloths that I taped up on the wall. 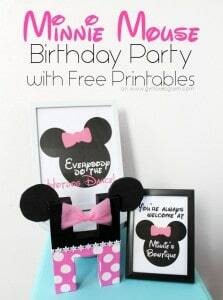 I made the sign for the Minnie Mouse birthday party last year, but the colors worked for this year too. I just spiced things up with the pinwheels and decorative balls on the sides. 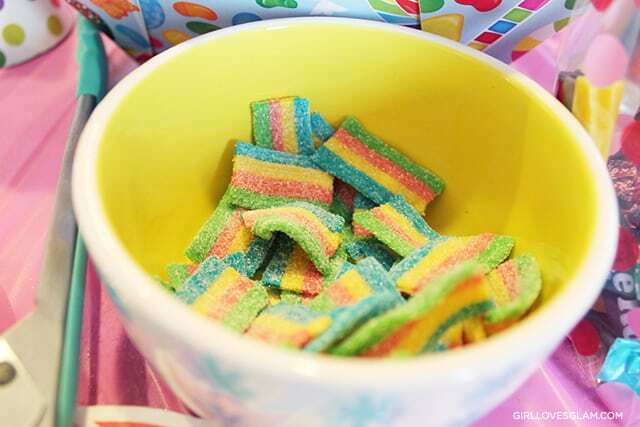 They can all be found at party supply stores, but the rainbow ones really helped it feel more like candy. They came from Hobby Lobby. 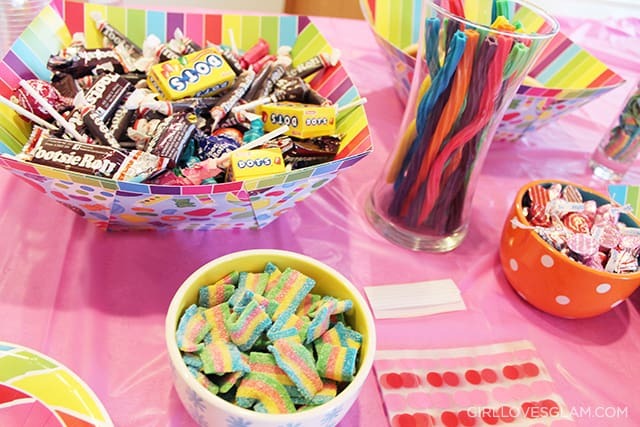 I really loved how this backdrop help add so much color to our candy party! 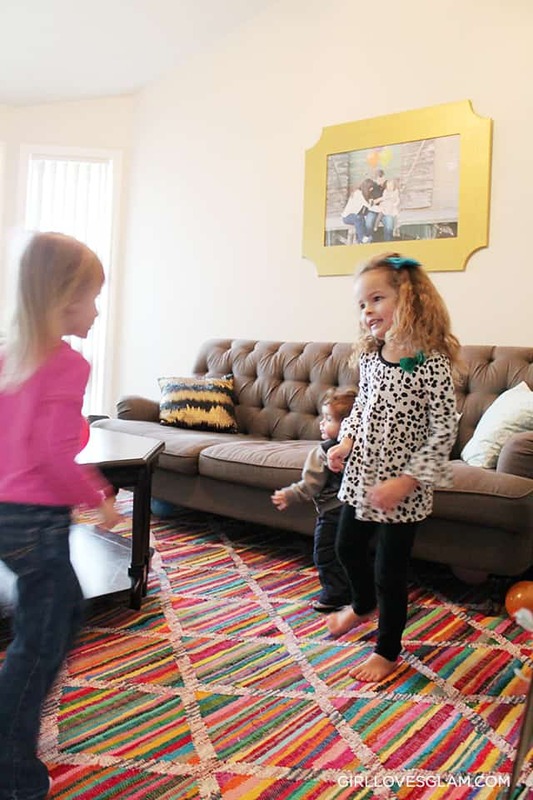 Harper invited five of her friends over and it was a total success! As the guests arrived, I had the soundtrack from Wreck it Ralph playing and let them dance around with balloons I blew up and just had laying around in our front room. 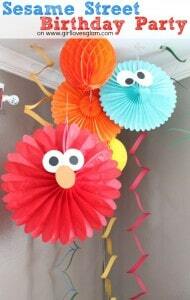 It was a great way to get the girls comfortable while passing the time so that all of the guests could arrive. After all of the guests arrived, they played a fun bean bag toss game. 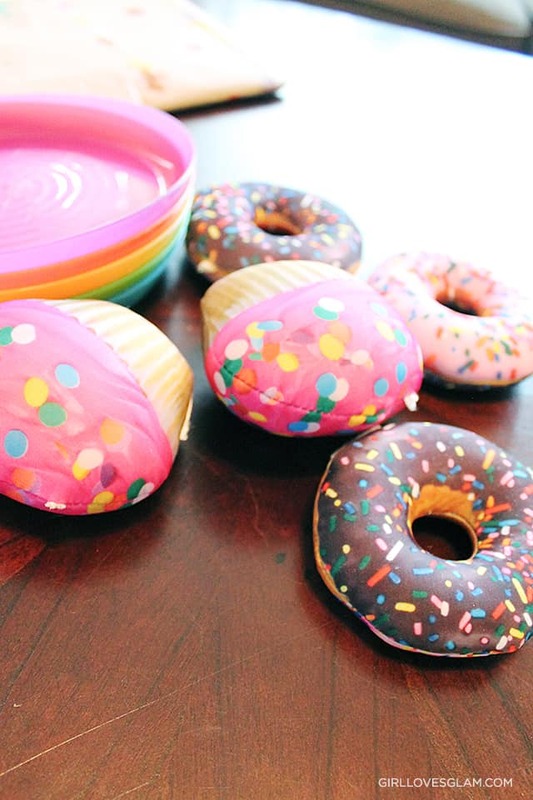 I was going to just get bright colored bean bags, but I found these squishy donuts and cupcakes at Michael’s that worked perfectly for it! They were key chains that I cut the key rings off of. They even smell like baked goods! 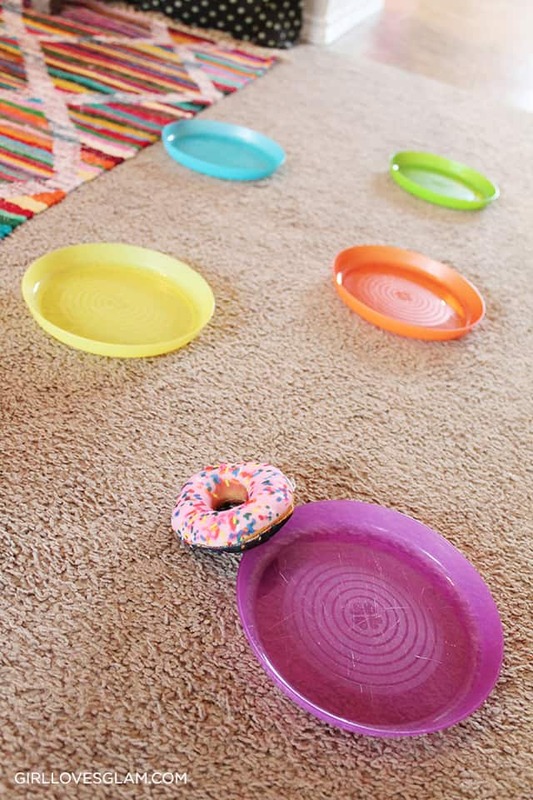 For the bean bag toss game, I set up colorful plates on the floor and had each of them take a turn throwing the bean bags to see if they could hit the targets on the ground. If you want to go the extra mile, you could cut out different shapes to have them try to hit, but the plates worked great for us! I let everyone get three turns to throw all of the bean bags. It went really quickly and they had a lot of fun! After the bean bag game, I took the girls into the kitchen and had them decorate cookies. If you are a fan of Wreck it Ralph, you can figure out the connection with the cookies. Vanellope decorates a heart shaped cookie and turns it into a medal to give to Ralph for being her hero. The cookie she decorates is a heart shaped cookie, so I just made some plain sugar cookies that I cut out into heart shapes. The guests all got to decorate them the way they wanted to. I loved seeing their creativity! I found the cute lollipop plates, napkins, and trays at Hobby Lobby. 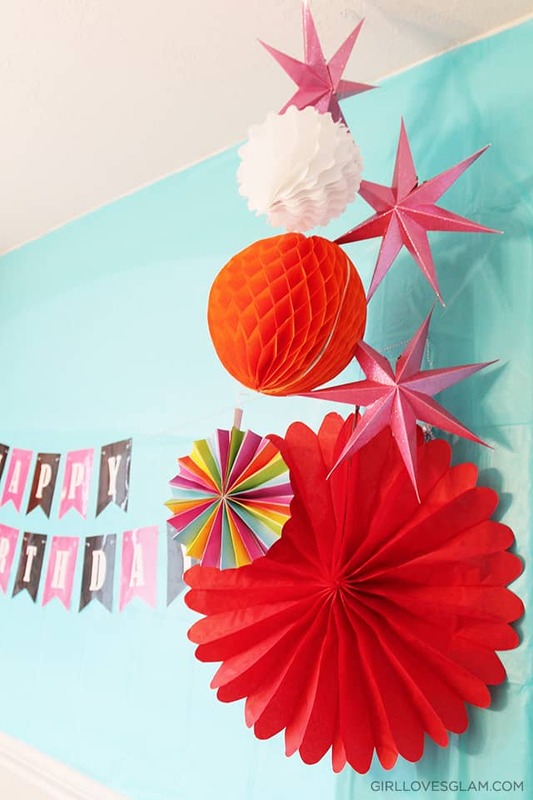 They matched the party decor perfectly! 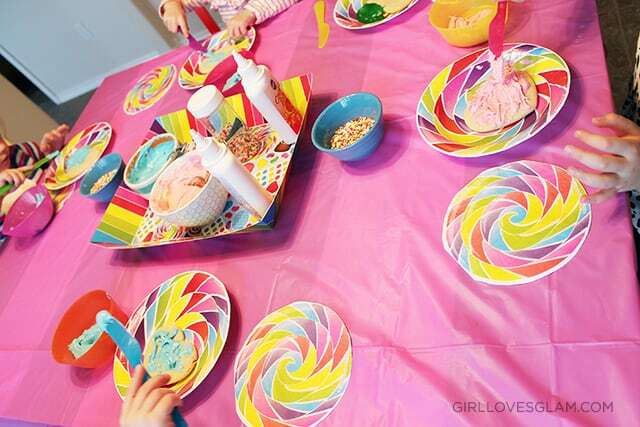 I bought frosting and just added food coloring to it and put them into bowls for the girls to use. I also found some decorative icing at Michael’s that comes in tubes that look kind of like glue. They were perfect for little hands. The girls topped the cookies with lots of sprinkles and they looked great! 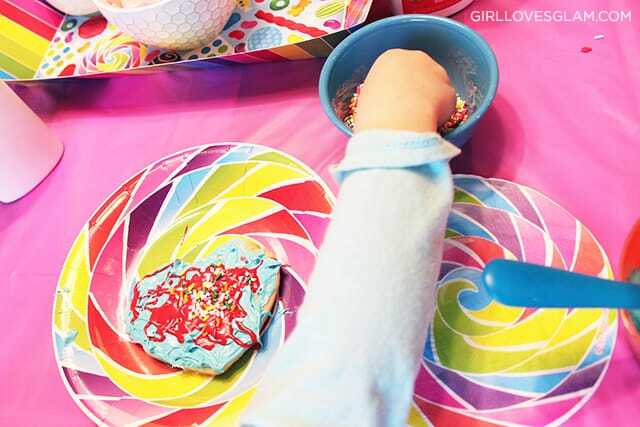 I let each girl decorate one to eat at the party and then they got to decorate a second cookie to take home with them. We put them in treat baggies for them to take home from the party. After the cookie decorating, I had the girls come back into the living room and had them sit around in a circle and we played “hot cupcake” with the cupcake bean bag. It was exactly the same thing as hot potato, but to stick with the theme, the hot cupcake was fun for them to play. The only struggle we had with this game was that there were tears shed when someone would be eliminated each round. Being eliminated from a game is hard to take for 3 and 4 year olds! I hadn’t really thought that one through. After “hot cupcake”, we had the birthday girl sit down and open her presents. After the presents, I turned on Wreck it Ralph and let the girls watch the movie and play with the new treasures they had given as birthday gifts. While they were watching the movie, I took them one by one to our candy table. 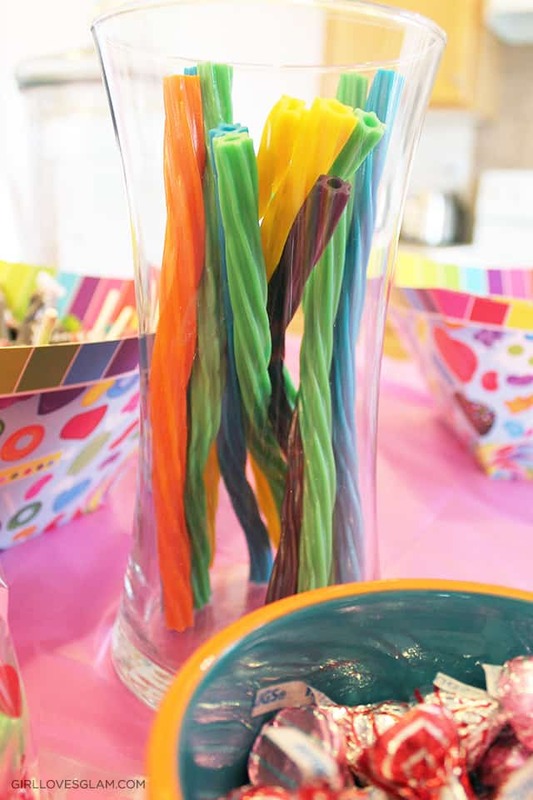 I love how the candy table turned out! 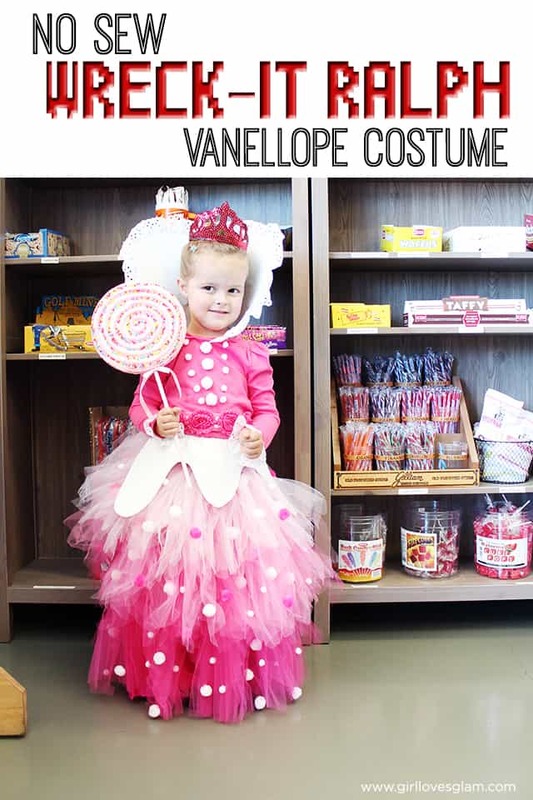 Lots of color, complete with a picture of the birthday girl in her Princess Vanellope Von Schweetz costume from Halloween! By taking them one by one, I was able to avoid some of the chaos of choosing candy. I also was able to avoid having a bunch of germ covered hands reaching into the candy bowls. I just had the girls point to the candy they wanted and I put them in the goodie bags. The candy table had an assortment of candy, but I mostly just chose the most colorful candy I could find in the candy aisle. I loved how it turned out when it was all together! I found the big bowls for the candy from Hobby Lobby. After they chose all of the candy they wanted, I put their candy bag into their party favor bags that they could take home with them, put their name on it, and set it aside so they could take it home. I sent the girls back in to watch the movie and took in the next one until they had all had a turn at the candy table. 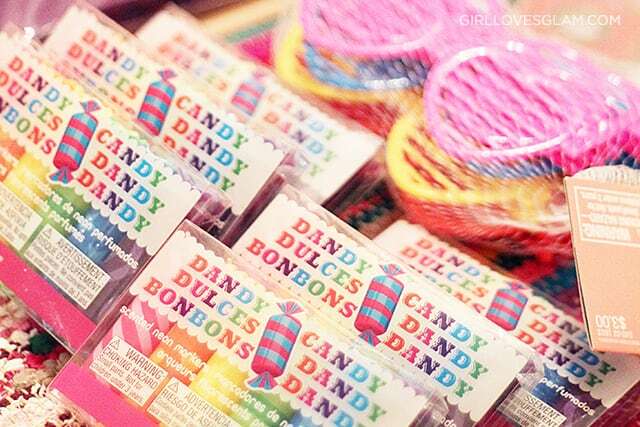 The party favor bags were full of colorful, candy themed goodies. 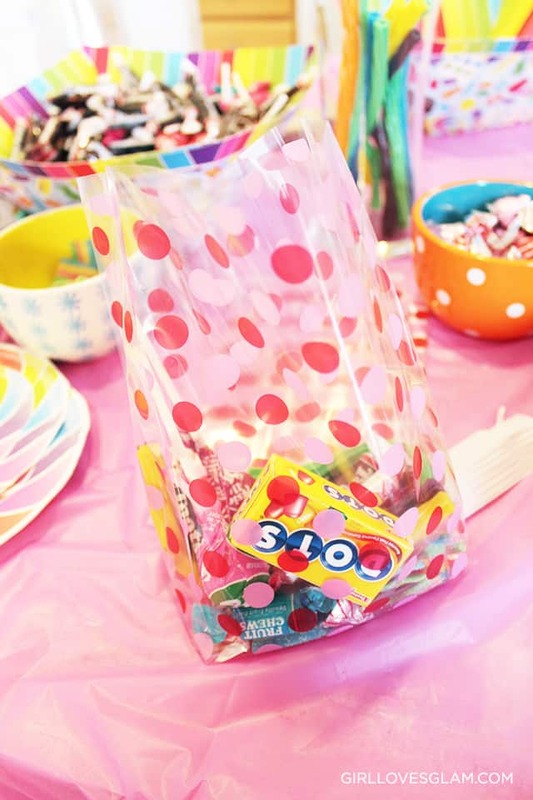 I was able to find markers that were shaped like candy from Michael’s that was just perfect for the bags. I also put in notebooks with candy on them, heart sunglasses, and other brightly colored items that little girls would love. We had plenty of candy leftovers to enjoy and add to our waistlines too. It was a win/win for everyone! This has been a birthday party that Harper has talked about pretty much nonstop since it happened. It was a lot of fun! I am interested to see what she decides to be for Halloween this year, because I have a feeling that it will be next year’s birthday party theme! And check out all of the parties from birthday’s past too! 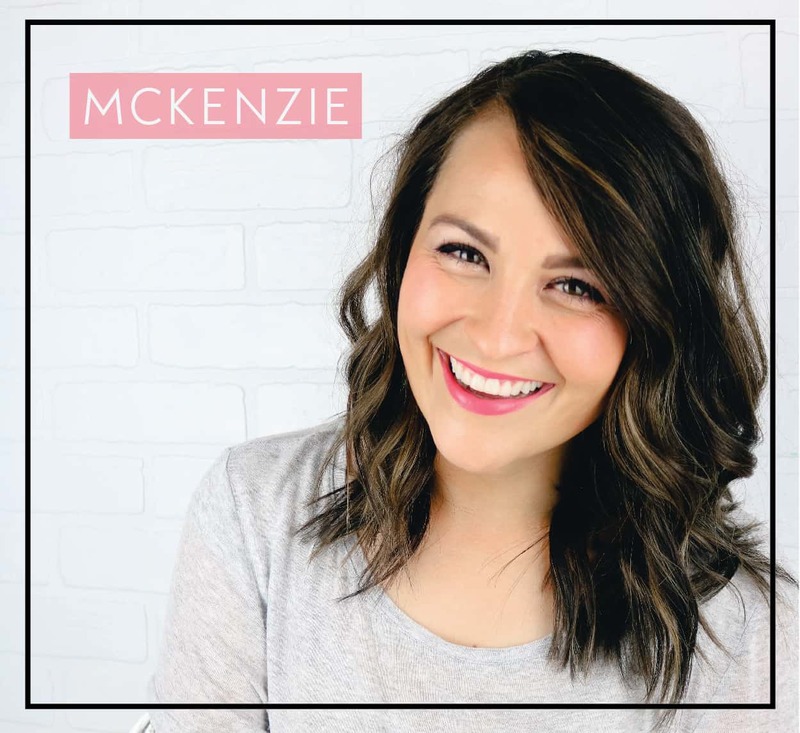 McKenzie – I remember you snap chatting while you were putting some of this together! All the hard work paid off because this looks fantastic! I love how bright and fun it all looks – you’re such a good mama! That donut toss looks so fun!! Where on earth is your living room rug from?! I’ve been searching for over two years for a rug just like that! I got it from Rugs USA! It is my favorite!